Roger Daltrey will perform The Who’s 1969 rock opera, “Tommy”, in its entirety during a newly-announced summer tour of the US. 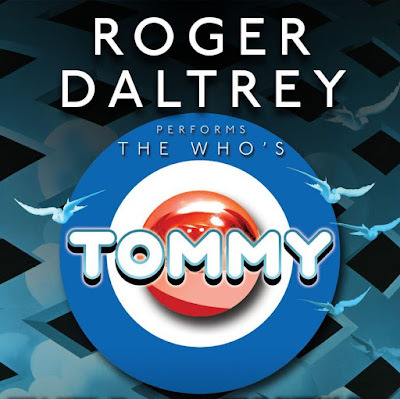 “I'm really looking forward to singing Tommy, not only with my great backing group, but also some of the finest orchestras in the country," says Daltrey. "Pete Townshend’s rock music is particularly suited to being embellished by the sounds that an orchestra can add to the band. Last year, The Who played all of “Tommy” for the first time in 28 years at the Royal Albert Hall in London as part of a benefit concert for the Teenage Cancer Trust that was released on DVD in October; Daltrey previously performed the project it in its entirety with his band during his 2011 solo tour. The summer “Tommy” shows will follow a brief spring run by the singer that includes a pair of performances in Las Vegas, NV in early March. Daltrey will publish his memoir this fall and has high hopes for the project. "I hope the result is more than just another autobiography,” explains the legendary rocker. “I've been lucky enough to live in interesting times. I've witnessed society, music and culture change beyond recognition. That I'm still here to tell my tale when so many others around me didn't make it is nothing short of a miracle." Daltrey’s book follows bandmate Pete Townshend‘s memoir, “Who I Am”, which was issued in 2012.